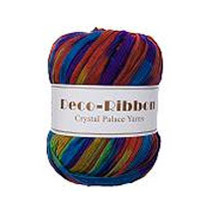 Crystal Palace Deco-Ribbon is a flat, ribbon yarn which comes in many colors: pin-striped, printed and solids. 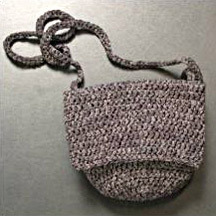 The gauge is 3.5 sts/in on size 10.5 needles, or looser on sizes 10.75, 11 and larger for openwork projects. 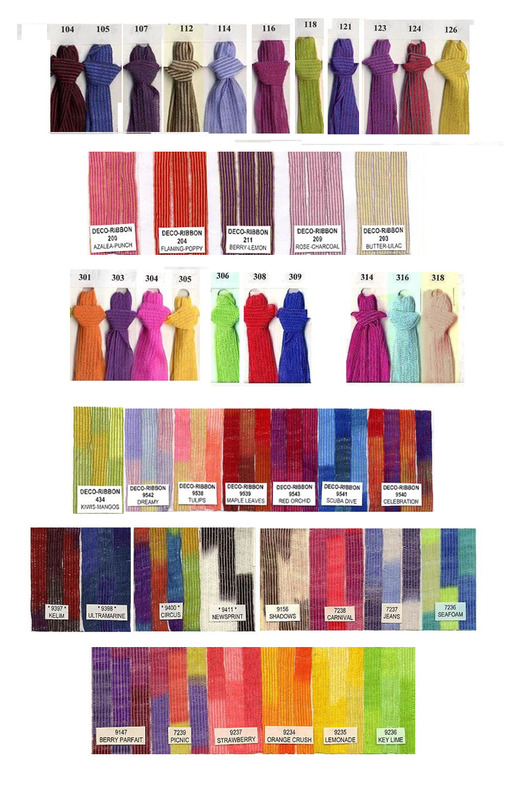 Good for knitting and crocheting accessories, shawls, scarves, etc.. Makes a nice ribbon fringe.